Desperate for help along the defensive line, several Cowboys fans with roots planted firmly in the Lone Star State were perched for celebration. As Dallas picked No. 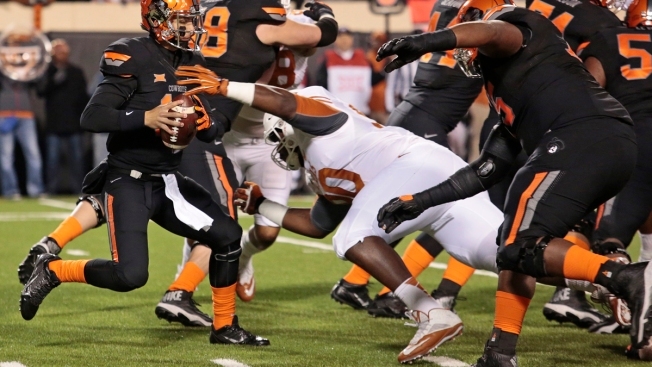 27, Texas defensive tackle Malcom Brown seemed the logical choice. Instead, the Cowboys passed on Brown and wound up not taking any tackles among their eight picks, leaving the likes of Nick Hayden, Tyrone Crawford and Terrell McClain as the incumbents. The defensive line has certainly been upgraded with the additions of Greg Hardy and Randy Gregory and, in a conference call with season-ticket holders last week, Vice President Stephen Jones explained why the team passed on Brown, who went five picks later to the Patriots. Brown, in other words, was big enough to play nose tackle for the Patriots, but not quick enough to play defensive tackle for the Cowboys.